Mobile phone maker Nokia is close to announcing a partnership with Microsoft to adopt Windows Phone 7 for high-end Nokia phones, according to Bloomberg. Nokia CEO Steven Elop is not happy with the current state of affairs at Nokia, and recently sent a scathing memo to all employees criticising Nokia for missing out on big trends over the last few years. On the company’s last earnings call, Elop said that Nokia needed to “build, catalyze, or join” a major smartphone ecosystem, suggesting that Nokia is considering a tie-up with either Microsoft or Google’s Android OS. 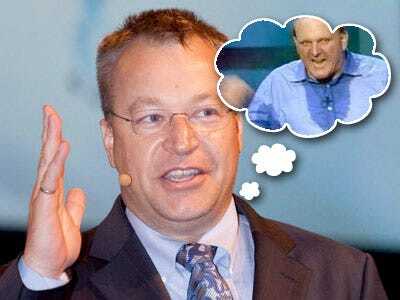 The Bloomberg report says that Elop talked both Microsoft CEO Steve Ballmer and Google CEO Eric Schmidt about their phone platforms before deciding to go with Windows Phone 7. Reports say that Nokia has already abandoned MeeGo, which was supposed to be its successor to the current Symbian platform for high-end phones. Nokia will announce its new smartphone strategy this Friday, February 11. Elop came to Nokia after leading Microsoft’s business software division for two years, and rumours of a Windows Phone 7 partnership started appearing in December. The move would be good for both companies: the relatively new Windows Phone 7 has less than 2% market share, according to recent reports, and Nokia is close to losing its longstanding market share lead to Android.